Nancy Burke handles cutting edge environmental issues as they emerge, using her experience to help clients tackle these new challenges. She knows how to navigate the quagmire of environmental and safety regulations for client development projects, mergers and acquisitions, and real estate transactions, or in the ordinary course of a client's business. She represents a range of clients, from energy production and natural resource extraction companies, to agricultural production and food processing. She has significant experience working on behalf of the electrical generating industry on both environmental and state regulatory issues. She also assists with project permitting, including environmental review and agency negotiations. Nancy defends those facing alleged violations of laws enforced by the U.S. Environmental Protection Agency, the U.S. Department of Transportation, the Mine Safety and Health Administration, the Occupational Safety and Health Administration, and state and local agencies, and she handles appeals of agency decisions. When new rules are proposed, she guides clients in providing public comments and asserting challenges. She also advises on all appropriate inquiry due diligence and Superfund matters. Assisted client in obtaining Minnesota's first National Pollutant Discharge Elimination System (NPDES) permit for a new discharge to an outstanding value resource water (ORVW) after a court overturned agency's issuance of permit. This groundbreaking permit required proof there was no prudent or feasible alternative and included a novel point to non-point source phosphorus trading agreement with a major discharger. Represented an electrical generating plant fueled by agricultural waste on environmental diligence for its purchase out of receivership and in complex air permit renewal proceedings involving retroactive BACT, PSD increment exceedances and the nation's first non-waste determination. Advised on beneficial use permitting and investigated alleged fuel supply tampering. Obtained summary dismissal of litigation against it under the Minnesota Environmental Rights Act. Advised major investors, lenders and purchasers on the environmental and state regulatory aspects of their prospective stake in electrical energy development projects, including Minnesota community solar garden portfolios and proposed wind farms located in Minnesota and North Dakota. On behalf of partnerships, trusts, estate beneficiaries, corporations and governmental entities, facilitated the transfer of properties with vapor-intrusion and related contamination issues. Obtained liability assurances for parties to the transactions and navigated the related agency enforcement and cleanup efforts. Handled Superfund matters nationwide as "on loan" in-house counsel to a Fortune 100 industrial manufacturing and aerospace company. Negotiated Consent Decrees, served on PRP allocation and steering committees, and handled one of the first prospective purchaser agreements with USEPA on a Florida Superfund site. Represented a public drinking water provider in responding to the discovery of the emerging contaminants known as perfluorochemicals (PFCs) in its water supply, assessing potential claims and responding to regulatory agencies. On behalf of a major midstream pipeline company, negotiated the first natural resource damages settlement under Minnesota law for petroleum-related groundwater contamination. Negotiated multiple significant user agreements on behalf of food and meat processing industry clients. Assisted a wastewater discharger in obtaining a more relaxed site-specific standard for its receiving waters and successfully challenging an impaired waters listing. Represented the League of Minnesota Cities and Minnesota Cities Stormwater Coalition in proceedings to secure the general "MS4" stormwater permit issued to most Minnesota cities after it was thrown out by the court. Represented a nationwide collision repair company on the environmental aspects of dozens of asset acquisitions involving locations throughout the continental United States. Handled the environmental components of real estate acquisitions for a growing Ohio-based freight company. Defended against federal enforcement proceedings in multiple USEPA regions and before other administrative agencies, including on USEPA OPA and CWA spills, USEPA air quality, USEPA EPCRA and RCRA, USEPA TSCA, USCOE wetland, and MSHA. Advised numerous clients on compliance with California Proposition 65 and defended against private citizen notices of violation under California Proposition 65. Obtained special permits from PHMSA exempting clients from compliance with USDOT Hazardous Materials requirements for packaging and transportation, including under the Drug Enforcement Agency's then newly authorized take-back program. Orchestrated the environmental and liability issues for numerous redevelopment projects involving contaminated property using tools such as USEPA prospective purchaser agreements, insurance, liability assurances, grants, delisting, and voluntary cleanup agreements. 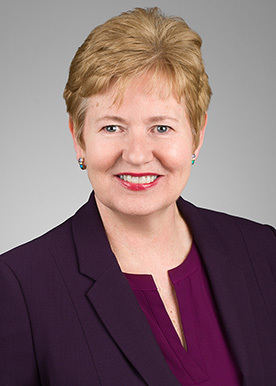 Her experience includes the Park Nicollet Clinic expansion, one of the first developments under Minnesota's Land Recycling Act, the City of Rochester's Minnesota BioBusiness Center and a development on the Reilly Tar Federal Superfund Site. Represented a peat mining business, Hawkes Co., in challenging the U.S. Army Corps of Engineers' claim that wetlands were waters of the United States (WOTUS). Handled the administrative proceedings before the Corps, served as co-counsel in federal district court and local counsel in the U.S. Supreme Court. The Supreme Court ruled unanimously in favor of Hawkes, securing the right for all landowners in the country to challenge whether wetlands are WOTUS before going through permit proceedings. The district court then granted summary judgment, blocking the Corps from exercising jurisdiction over the wetlands.